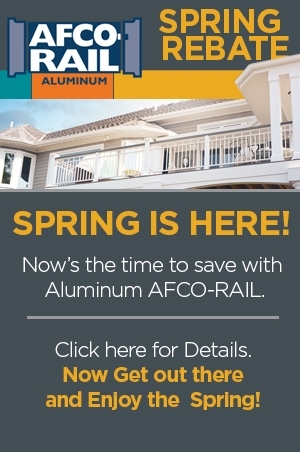 From April 1st until May 31st take advantage of a Special rebate on AFCO Aluminum Rail. Click here for rebate details! 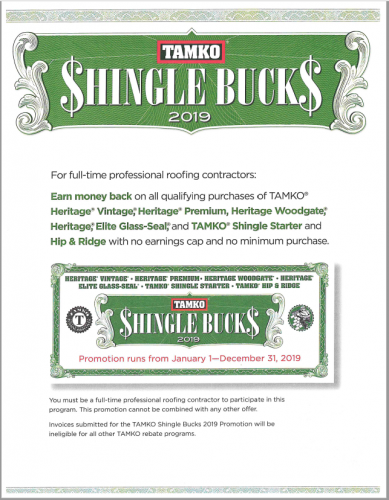 For Full-Time Professional Roofing Contractors: You can Earn Money Back on all qualifying purchases of TAMKO shingles with no earnings cap and no minimum purchase!